Deejay Daz has been a household name in the club scene and music industry since 1990, earning his stripes djing high school dances, weddings and birthday parties. As his skill improved and his confidence grew, Daz started entering deejay competitions - winning 16 out of 18 of them! He has now graduated to much bigger and brighter endevours - such as playing at some of Hollywood, Los Angeles, as Santa Barbara's hottest night clubs. Crooked Stilo, Akwid, Sugar Free, David Rolas, Rakim y Ken-y, Mims and more. While on tour with Crooked Stilo, Daz had the opportunity to travel through Spain, and showcase his turntable skills at every single club as a guest DJ. He has been a member of one of Los Angeles highly recognized record pool, Cali Kingz, formerly known as Ghetto Baby. He was one ot the ﬁrst among his peers to play Latin Hip Hop and Reggaeton, not knowing how big it would become. He is recognized by other deejays in the industry as being one of the first to support the movement. Daz has been part of the mixtape scene since 2000, putting out over thirty-tive. Fonovisa Records, which sold over 80,000 copies. Musica Urbana was a mix of Latin Hip Hop and Reggaeton, featuring artists such as Tego, Akwid, Lo-cura Terminal and Noelia. 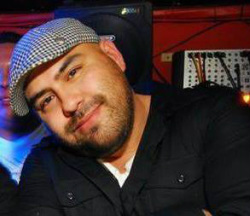 Daz was the first deejay to work for Latino 96.3, where he spent 5 years on air. Daz‘s recent projects include deejaying for President Obama's victory campaign and the 2010 Grammys. Today, Daz is still a big part of the club scene, deejaying about four nights a week, and still does shows tor some big acts. He is a mashup and remix producer on Crooklyn Clan.